Provides 24/7 access to the location of all your assets. Establish how long the assets are being used (actual operation time). Warns when unauthorized / unwanted movement happens. VERY EASY to set up. Step by step instructions included on CD. Easily wired up to a vehicle and easily moved from one to another. Track any vehicle, yours, someone else’s, your employees, your husband or wife that you suspect, your own hire / rental car, JCB, cherry picker, lorry, stand alone machinery. 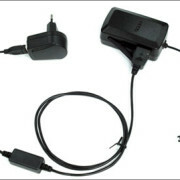 Fit in vehicle to its battery or run it on its motion sensor where it will last for weeks. Connect surreptitiously to any permanent live and earth. With FREE tracking website to view on PC/Laptop or Smartphone. This tracker can be left anywhere in the car so you can view its position and route any time of day on a Laptop or by smartphone app. 12/24 volt car battery cable included for permanent power. The advantage of this is that you can forget about it and check the track / route it’s taken any time you like from any PC or Smartphone. EG, where was driver John on Wednesday at 2.30pm? History will be on the website! Or when car is stolen locate it on the website and find or follow it. 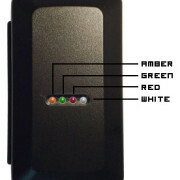 This tracker stands head and shoulders above all other text trackers and pay per position trackers advertised on ebay. Data is saved on the tracking website normally for 5 days but for £10 per year you can view / check routes over any period up to 12 months. This is paid direct to the manufacturer not us. The details are included in the package. Download the Haicom App and get its position in real-time on your smartphone. 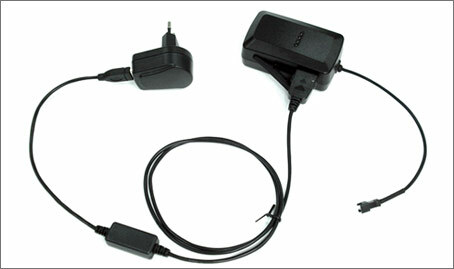 Top of the range GPS / GPRS / GSM Tracker with internal data logger. This tracker will record its position even when there is no phone signal! Includes FREE tracking website with realtime and history tracking to view on PC/Laptop or Smartphone. Simply buy a 3G SIM card and follow VERY SIMPLE set-up instructions. If in doubt how to set up simply send us your SIM card, so that when these are shipped out with your SIM card live, you can track it being delivered. 2 Year warranty. No tracking site contract. Latest Sirf 3 GPS receiver. 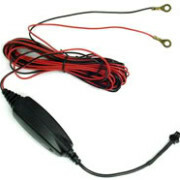 Easily wired up to a vehicle and easily moved from one to another. Will also run on its own internal battery to surreptitiously clamp magnetically under a vehicle. 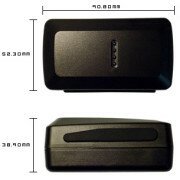 If your asset is prone to theft and has no way of powering the tracker, by using its motion sensor the tracker will run for up to 6 months with its GPS receiver and phone circuit temporarily switched off (Runs on 2 m/a/hour of its 5500 m/a/h internal battery, that means 2750 hours or 3-4 months). The vehicle’s route and stops will be recorded on the website. See where the vehicle is, has been and stop periods. Cuts down your workforce’s expenses. Find your stolen car, van lorry, JCB, boat, anything. Track your spouse that you suspect of adultery! Accurate up to 3 metres. 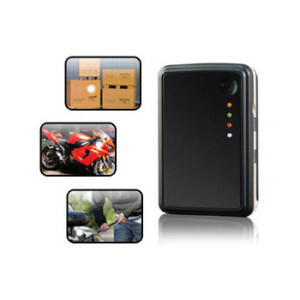 The new X series are the new GPRS trackers (no DTMF feature) with new functions, such as, user can program (set up APN, port, interval, dial back tele#, etc. ), control the tracker (fuel cutting, sleeping mode, etc.) from our GPRS tracking plateform. User can also up date the new firmware any time from that plateform. The tracker current set up status list can also be viewed from there. 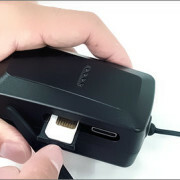 Beside the program from the air functions, user can also set up the tracker from the computer with the USB cable or the SMS from the phone. 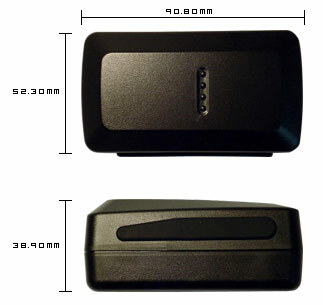 The new ” X ” series can also send the real time position to the set up dila back telephone numbers with a www hyperlink. The user can check the real time location from the smartphone with a postion on the map. 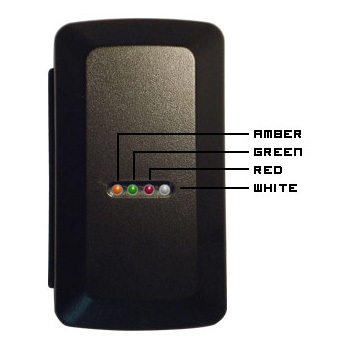 Inside the tracker, there is flashmemory which allow the tracker to keep recording the positions (as a data logger function) so that user can view the tracker whole trip even there is no GSM network coverage. With the inclusive Haicom Tracking software, user can view the history position data on the user friendly map. Also, with the build in motion sensor, user can setup the tracker to go sleeping mode activaly or passively to save the tracker power consumption. 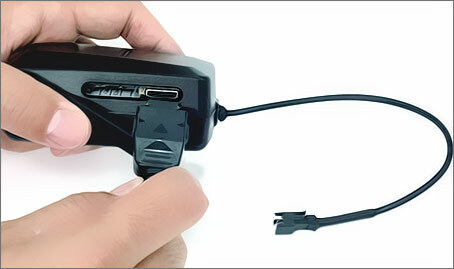 This is a multi-function state-of-the-art GPS tracking solution offering you all in one solution GPS/GSM/GPRS/SMS all in real time – the most flexible tracking device in the world – a great marriage of the latest technology and affordability. 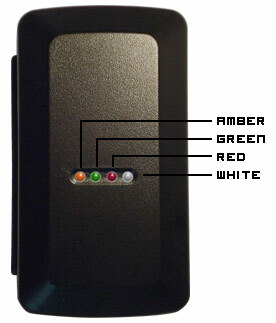 With this multi function tracker, one can track, remote control, tapping any object globally in real time on the map. 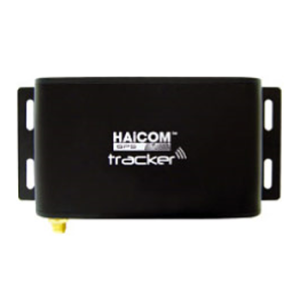 User can check the real time location from the GPRS tracking web site or using the Haicom Tracking software installed on the PC and check the real time position on the map via the regular dial tone transmission. 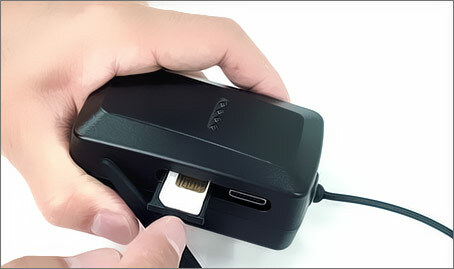 Once fully charged, the HI-604X battery can last up to 180 Days, depending on usage frequency, it has a built-in movement sensor that can be configured directly to alert you on your mobile phone and our server automatically when the object is moved or touched. 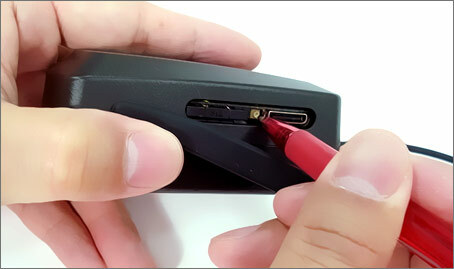 The owner can locate the asset at any time using our free of charge GPRS web tracking platform or from your smart phone or real time SMS address hyperlink solutions. The HI-604X can also be programmed to automatically report its position at regular pre-set time intervals, which could be from every 30 seconds to every 72 hours. Also, set up to wake up and send location back during the long sleep mode. 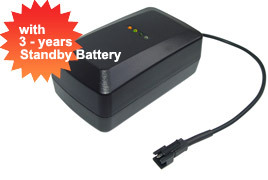 When connected to a vehicle battery the tracker will be kept fully charged until that battery empties and then another 180 days on its own battery. 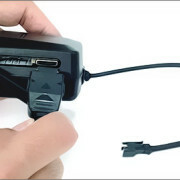 Take out the waterproof side rubber seal and connect the 18 pin cable to HI-604x and plug another end to the USB port from computer or to the AC power outlet with the AC adaptor for power charging. Place the SIM card on the SIM card tray and slid in the SIM card tray in. When the SIM card tray inserted in place, the power will switch on. To switch off power, simply push in the yellow dot with any pen.